Ramdas Athawale reiterated then that he didn't say anything to insult anyone as he was only giving his honest opinion. The union minister further continued saying that if his comments have hurt people's sentiments, then he is truly sorry for that because he had no intention to do this. 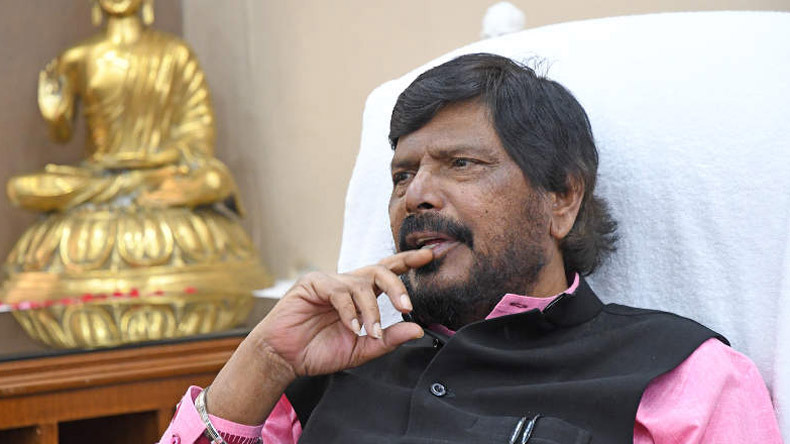 A day after coming under fire for expressing his indifference towards the sky-rocketing fuel prices, Union Minister of State for Social Justice and Empowerment Ramdas Athawale on Sunday issued an apology in public. He explained that he had no intention of hurting anybody’s sensitive as he was giving his honest opinion on the rising petrol and diesel prices that have taken the country by storm. He reiterated then that he didn’t say anything to insult anyone as he was only giving his honest opinion. The union minister further continued saying that if his comments have hurt people’s sentiments, then he is truly sorry for that because he had no intention to do this. “I am a common man who became a Minister. I know the problems people face. I am a part of the government and I demand that the price of petrol and diesel should be brought down,” added Ramdas Athawale. Earlier on Saturday, when Athawale was asked about the soaring prices of fuel, he said that he is not suffering from rising fuel prices because he is a minister. However, he added that he may suffer if he loses his ministerial post. Petrol and diesel prices have witnessed an unprecedented rise in the past two weeks and Maharashtra is feeling the maximum brunt of it. In Delhi, a litre of petrol is being sold for over Rs 82 while in Mumbai, petrol prices have crossed the Rs 90-mark.